Belly up to the bar with a number of active service members, you could easily issue a challenge, and most should be able to place a brass, bronze or silver-like coin on the table. The person who can’t show their coin buys the round of drinks. Wikipedia tells a storied origin of a downed WWI pilot, whose sole identification was his coin, which prevented him from being executed by the French. These coins carry a special source of pride among those who carry them and are collectibles, especially if you know what one is. Bud, a friend of my father’s, who served with him in Vietnam, had his Green Beret challenge coin stolen from him by a small town cop after a night in jail. My father, many years later, found someone to make a replica and gave it to Bud as a birthday present. 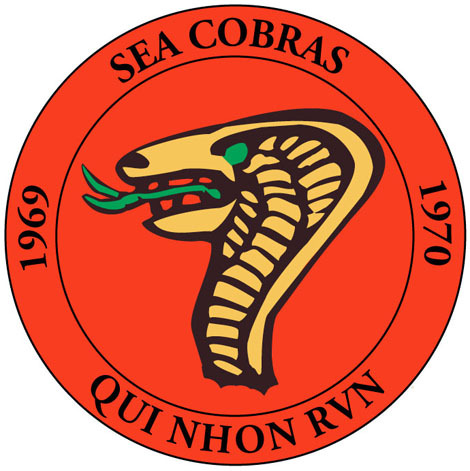 Later this summer, my father is going to Portland for a reunion for his unit, the Sea Cobras, an inshore undersea warfare group, stationed in Qui Nhon. He commissioned me to do the design. I wanted to keep the simplicity of the sea cobra, so in Illustrator, I cleaned up the lines and evened out the color. Since the coin maker was going to do the embossing, I chose a serif font and the general placement of the text, and my original design instructions were to make the entire coin red. Working with the coin maker, my father made the final decisions, and the final coin shown below. He chose to have the embossed text stand out more, removing the outer red ring. 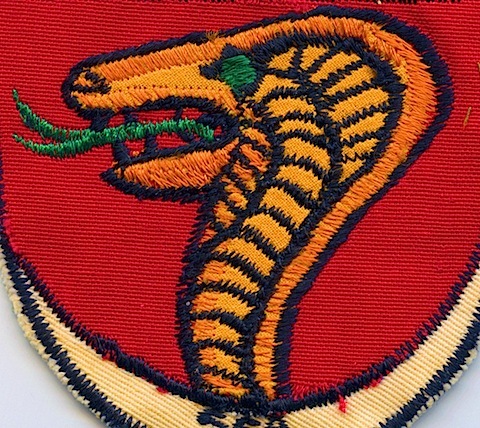 There’s a slight raise to the outline of the cobra to give it depth, and the yellow is muted as compared to the mock up, above. The coin measures 1.5 inches in diameter and weighs a solid 4 ounces. All in all, he made a print run of 100, and I get one.